Approximately every six weeks, the ACP Dublin council members meet in the city centre, afterwards an email is sent to all members. This ensures that you are kept up-to-date with what is happening in the ACP, on both a local and on a national level. We are currently working with IMPACT trade union to organise meetings in venues in North and South Dublin to explore the unionisation or our profession. We look forward to hearing your thoughts/concerns relating to this. 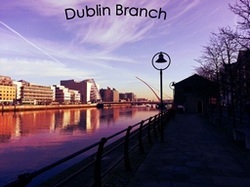 The Dublin branch was established in November 2009 when a group of childcare providers from across the city met to set up the first ACP Dublin Branch committee. The central committee is comprised of a few dedicated hardworking individuals, who meet every six weeks to discuss issues which arise and to plan for ACPs future.